Maybe She’s Born With it, Maybe it’s Epigenetics: 5 Tips for Beauty and Anti-Aging | What is Epigenetics? We might say a beautiful woman is born with her looks or that she was endowed with good genes. But what if some of her beauty comes from reversible marks on top of her genes? The epigenetic tags on her DNA might be contributing to her glowing skin, young complexion, and silken hair. Interestingly, there may even be ways in which simple lifestyle changes could adjust these epigenetic tags, modulating the expression of certain genes that promote beauty and health. What if we could reverse aging and rejuvenate old, wrinkled skin to its once glowing state? What if we could even prevent premature aging altogether or make minor adjustments in our lives to influence our epigenetic signature and stifle the hallmarks of aging? Unsurprisingly, the cosmetic industry has already been tapping into the science of epigenetics to reveal new beauty and anti-aging possibilities. Several companies have begun the journey to understanding personalized skincare and anti-aging. For instance, EpigenCare was the first to develop personal epigenomic tests to determine which skincare products are optimal for an individual’s skin. Ingredient recommendations can be made based on a person’s unique epigenetic signature, which reveals factors like skin elasticity, pigmentation, DNA damage, and age. Not only has research found that we may be able to epigenetically reduce cancer risk by eating flavinoids, a particular type of phytochemical, but we might also be able to improve our skin via inflammatory or age-related pathways. Foods that contain valuable phytochemicals include red, orange, and green fruits and vegetables like broccoli, carrots, and leafy greens. See a complete list of food sources that contain phytochemicals and their benefits by the American Institute for Cancer Research. Aging and the signs that accompany it are closely related to inflammation and DNA damage. For instance, premature aging, also termed “inflammaging,” is intertwined with chronic low-grade systemic inflammation and the deterioration of the immune system. It’s also thought to play a significant role in collagen and elastin breakdown. Since our diet is closely intertwined with aging, eating the proper food could aid in preventing age-related diseases and potentially stifle the unwanted physical markers of age. “Most plant-derived dietary phytochemicals and macro- and micronutrients modulate oxidative stress and inflammatory signaling and regulate metabolic pathways and bioenergetics,” researchers from the University Antwerp and the University of Belgrade reported in Clinical Epigenetics. This can impact epigenetic patterns of gene expression and may potentially reduce age-related inflammation. For example, tissues and cells of aging organisms demonstrate changes in histone modifications, such as increased histone H4K16 acetylation (H4K16ac) and decreased histone H3K9 methylation (H4K9me). Histone acetylation is defined as the addition of a chemical mark known as an acetyl group onto histone proteins that DNA wraps around and histone methylation is characterized by the addition of a methyl group. These histone modifications impact the chromatin structure, or the protein-DNA complex, by opening or closing it to make genes more or less accessible for expression. If eating plant phytochemicals and macro- and micronutrients exerts an epigenetic effect on genes related to inflammation and oxidative stress, then perhaps we could restore skin and improve signs of aging. According to Dr. Draelos in a Dermatology Times article, many companies have created cosmetic products such as topical skin cream that are chockfull of micronutrients. However, he noted that they are best consumed, not applied on top of the skin. “This epigenetic research will help us better understand how diet and certain ingredients affect skin health on a cellular level,” he added. Olive oil contains molecules that may possess epigenetic regulatory power and could reduce age-related effects of inflammation. Used for health benefits since ancient times, it’s believed that extra-virgin olive oil (EVOO) can exert beneficial effects by modulating genes involved in proliferative, antioxidant, and inflammatory pathways. 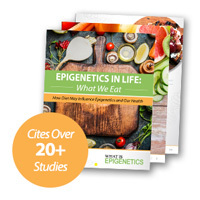 A comprehensive review article in the European Journal of Lipid Science and Technology concluded that consuming EVOO was connected to the activation of defense, protective, and repair epigenetic mechanisms. 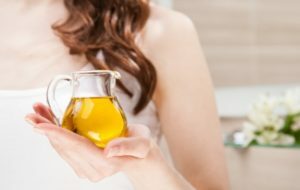 Furthermore, a study published in the International Journal of Oncology found that “natural phenolic molecules from EVOO might unexpectedly function as regulators of histone deacetylase (HDAC) activity.” HDACs are epigenetic enzymes that remove acetyl groups from histones, impacting the expression of certain genes. A team of researchers set out to investigate whether a virgin olive oil based breakfast could reduce the expression of pro-inflammatory genes in individuals with metabolic syndrome. Ultimately, they found that consuming virgin olive oil, which is rich in phenol compounds, can repress expression of multiple genes related to inflammation, potentially reducing its age-related effects. Although they did not specifically measure the effects on the appearance of the skin, the link between proliferative, antioxidant, and inflammatory pathways and poor skin gives hope to the possible beauty and anti-aging benefits of olive oil. We all know the dangers of tanning or getting too much sun exposure, but did you know it might epigenetically make you age faster, increasing wrinkles and age spots? Premature aging of the skin caused by repeated exposure to ultraviolet radiation from the sun and other sources is known as photoaging. In a study published in Genome Biology, scientists analyzed the DNA of sun-protected and sun-exposed skin in individuals younger than 35 and those over 60 years old. They looked at the level of DNA methylation – an epigenetic mark thought to have a key role in aging – in samples taken from the face and the inner arm. They found much less DNA methylation, referred to as DNA hypomethylation, in the sun-exposed skin of older individuals. This reduced level of DNA methylation, however, was not detected in the older individuals who protected their skin or in the skin of younger individuals. This hints that the sun might epigenetically impact your skin differently depending on your age and might actually affect you more severely the older you get. In light of this possible underlying epigenetic connection between aging and sun exposure, we can take action to protect our skin from aging faster. Using sunscreen when lying out can not only reduce the chances of harmful skin cancer, but it may also protect the body from wrinkles, age spots, and loose, dry skin. Resveratrol, a compound in wine, has been shown to positively influence pathways connected to inflammation and longevity. Not only does that glass of red wine help you unwind after a hard day of work, but it might also help give your skin that coveted healthy glow. Resveratrol, a compound found in red wine, has potential as an anti-inﬂammatory agent in human skin and has been connected to longevity. Sirtuin-1, or SIRT1, is a histone deacetylase that protects cells from stress events. The personal care industry has placed significant emphasis on studying HDACs and epigenetic modulators in order to preserve expression in younger cells and organisms and develop anti-aging treatments. High sugar intake not only increases your risk for obesity and cancer, but it might even make you age faster. A study in Journal of Nutrition, Health and Aging found that high blood glucose could damage the end caps of our DNA called telomeres, which has been associated with aging. The higher the blood sugar, the more significant the damage was to the telomere and DNA. 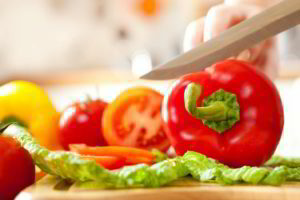 This study suggests that a low carbohydrate diet might be beneficial to one’s health and could even reduce aging by epigenetically suppressing toxic oxidative stress. According to Dr. Frank Lipman, founder and director of the Eleven Eleven Wellness Center in New York City, sugar may be the worst offender if you don’t want to stimulate premature aging genes. “Sugar is the most pro-aging food substance out there,” he told YouBeauty. Utilizing individual epigenetic signatures may be part of the future for personalized skincare. Epigenetics offers some interesting insight into the ways in which we might influence chemical marks on our DNA to turn aging-related genes on or off and improve our beauty and health. Eating foods with important phytochemicals, using olive oil in place of butter, and cutting out sugar in our diet while keeping red wine might all work epigenetically to beautify skin and reduce pesky signs of aging. However, it is not exactly clear how we may apply the results gained from these controlled studies to the complex human body. Inflammation and oxidative stress, for instance, are critical beneficial processes as long as they are controlled. Simply blocking these activities certainly does not guarantee flawless skin and glowing beauty – doing so might actually block skin repair. Additional research should certainly be carried out to further elucidate what lifestyle or diet changes we can make to promote beauty. 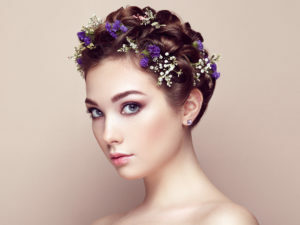 Recently, the cosmetics industry has certainly been trying to tap into the power of epigenetics, with multidiscipline teams of biologists, dermatologists and formulation experts working together to uncover how lifestyle changes and epigenetic agents might enhance our beauty and health.